UPDATED: The extreme weather system dubbed “Hilde” swept in off the North Sea on Saturday, causing extensive power cuts, landslides and water damage, forcing road closures and interrupting ferry services in central and northern Norway. Material damage was believed to be substantial, but there were no reports of serious injuries. “There’s quite a bit of material damage, as building parts have been torn off, but no personal injuries have been reported,” police operations leader Solfrid Legdheim told state broadcasting NRK. By midday on Sunday the storm had ceased, but the north still experienced strong gusts up to gale force. Meteorologists warned that the windy weather in the region will last through the weekend and into next week. Close to 35.000 homes lost power overnight in the Trøndelag and Helgeland regions, VG reported. By midday on Sunday approximately 20,000 homes still had no electricity. Some people also had lost their broadband or landline telephone connections, according to NRK. “Hilde” caused extensive problems for us last night,” said Christian Stav, head of NTE, a local power utility. Interviewed by NRK, he warned that more power failures could occur. Driving conditions were described as difficult all over the region as winds were still high. Several roads and highways were blocked on Sunday because of landslides and fallen trees. 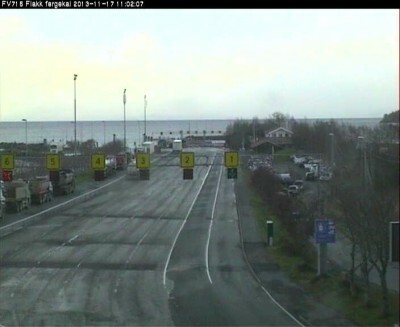 In several places bridges and ferry ports remained closed, NRK reported on Sunday. In the city of Steinkjer, a 30 meters high poplar tree fell over a nearby school building. Meterologists had warned of extreme gusts at sea and enormous waves. At least one oil facility in the Norwegian Sea, the Njord A platform, was evacuated and its crew of 97 were taken to Kristiansund before “Hilde” hit. Most shipping traffic ceased. However, crew and military personnel on board the vessel Britannia Seaways experienced lots of drama in open sea when a jet fuel container caught fire. The vessel was transporting military equipment, including a tank, to a military exercise on the west coast. The fire was put out and the ship was heading for Bergen. No injuries were reported.